A volume of platelet-rich blood product is obtained from a volume of anti-coagulated blood to prepare a composition for promoting the growth of hair follicles within skin. A portion of the skin is traumatized to form a treatment area in which stem cells within the hair follicles are activated. A protein matrix is formed from the platelet-rich blood product composition to entrap growth factors. 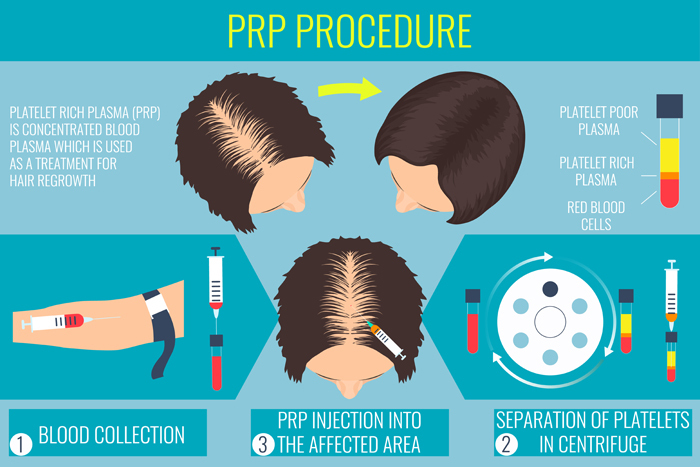 The platelet-rich blood product composition is infused into the treatment area to form a complex between the protein matrix and the growth factors so that the stem cells attach to the complex and proliferate within the hair follicles. A sub-atmospheric, negative pressure is applied to a growth factor starting material, such as whole blood, to release growth factors and plasma in a non-destructive medium. The released growth factors having a weight of about 70-76 kDaltons are applied in either a filtered or unfiltered state to a wound to promote healing of the wound. The released growth factors are applied topically to the area of a surface wound to effect healing. The released growth factors are also injected into soft tissue, such as a torn tendon, to promote tissue growth and healing. 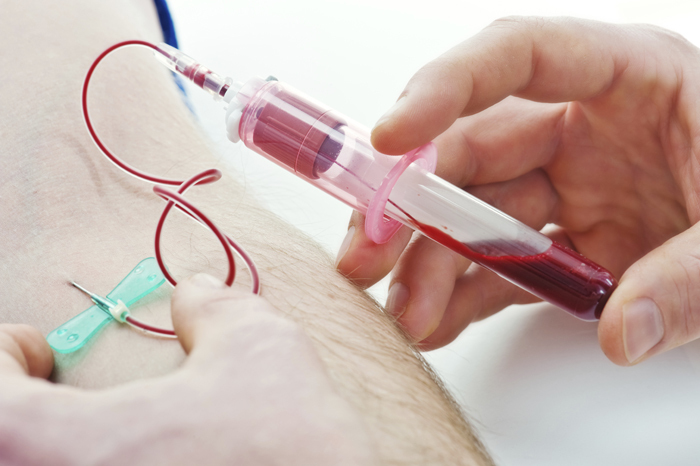 The growth factors are released in one method from a patient’s own blood. In another method the growth factors are released from a whole blood source and freeze dried by conventional lyophilization. 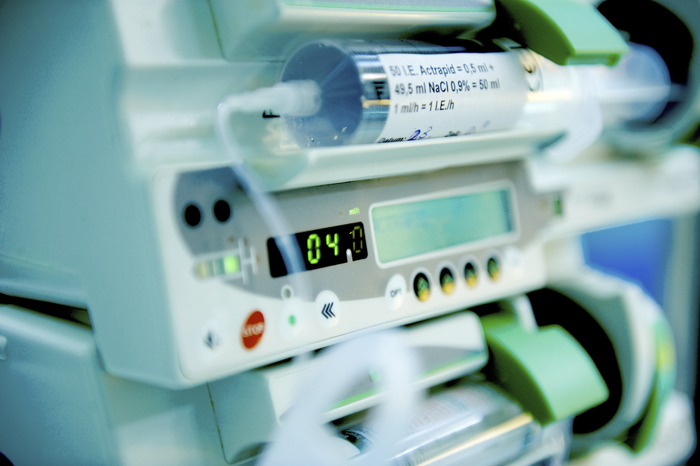 Then at a later date, the freeze dried product is reconstituted by normal saline for treatment of a patient’s wound or for use in a surgical procedure. A reservoir is supported by a base in a vertical position. A reciprocating member is positioned in the reservoir forming an internal chamber. The chamber receives growth factor starting material through an inlet in the reciprocating member. After the inlet is sealed, the reciprocating member increases the volume of the chamber to apply negative pressure to the growth factor starting material within to produce activated growth factors. The activated growth factors are extracted from the chamber through an outlet in the reciprocating member. Optionally, the growth factor starting material is held in the chamber to separate into fractions. 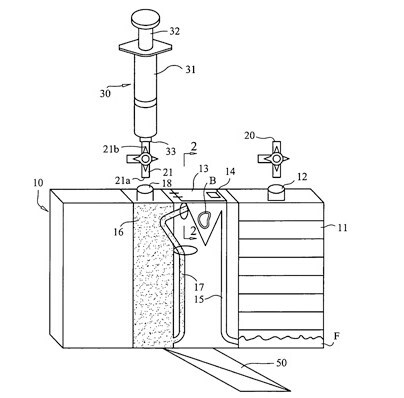 A novel apparatus and device is described for reconstituting a bone sample with a biological fluid, such as concentrated plasma or saline solutions, for example, prior to surgical implantation into a patient. In particular, the invention comprises, in certain aspects, a container in which a bone sample may be reconstituted with the desired fluid by applying a vacuum within the container, thereby driving the fluid into the bone for complete, or near complete, permeation of the fluid into the interstices of the bone sample prior to surgical implantation.